Logitech's PR agency may have jumped the gun a little in announcing the 'NuLOOQ navigator,' a $150 peripheral targeted towards users of Adobe's Creative Suite 2 on the Mac. (If you're thinking that's a fairly specific niche, you're completely right.) Described as roughly the size and shape of a bisected tennis ball, the NuLOOQ navigator can be used by artists to dial in new settings in Photoshop and other CS2 applications, using context-sensitive settings activated by a touch-sensitive surface and embedded buttons. Sounds pretty nifty, Logitech. If only we had a picture or a working website to peruse... Update: Now we do! Their product website still isn't working for us, but perhaps it will later. said Guerrino De Luca, president and chief executive officer of Logitech. re able to extend our expertise and create truly innovative products specifically tailored to the creative design field. said Bruce Chizen, chief executive officer of Adobe. Logitech has delivered an exciting new way for our customers to work with Adobe software, ensuring more than ever our place at the heart of every creative workflow. so that creative professionals can accomplish more. s built-in sensor is based on advanced robotics technology that senses small movements for quick reaction. Touch-sensitive control: Located on top of the NuLOOQ navigator, the tooltuner dial gives creative designers the ability to adjust or tune tool-option values, such as text leading or brush size. This feature minimizes arm movement and saves valuable time by eliminating repeat trips to the option bar to adjust values. Context-sensitive and application-aware: The NuLOOQ navigator automatically detects the current Adobe CS2 application, selected object or tool, presenting applicable option values for that application when prompted. Instant access to frequently used tools: Three built-in triggerpoint buttons embedded in the tooltuner dial provide instant access to commands, modifier keys, and tooldial menus. Easy configuration: Tooldial menus can be configured simply by dragging and dropping commands directly into the wedges or moving files or executables from the Finder. Fully customizable: Creative professionals can build customized tooldial menus for specific workflows, tasks or workgroups. By customizing tooldials with their most-used tools and commands, they no longer have to navigate complex menus or search for palettes in applications. One-step functionality: Because designers can access up to 72 defined commands, files or folders per tooldial, they no longer have to drag the cursor across the desktop to access a menu system or remember individual shortcuts. Application-aware: NuLOOQ tooldial automatically detects the current application and brings up the associated tooldial menu so people can program just one shortcut key that works across all supported Adobe applications. For example, a tooldial configured for Photoshop appears only when Photoshop is running, and it changes automatically when another supported application is selected. Also, when the tooldial command is executed outside of Adobe CS2 applications, a universal, customizable tooldial appears for instant access to files, folders and applications. Real-time feedback: Feedback appears directly on screen while users tune values, allowing creative designers to receive immediate feedback while keeping the desktop clutter-free. Easy to share: Creative professionals can export their customized tooldials for use in workgroups. 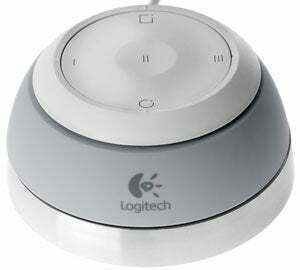 In addition, they can download tooldials created by expert designers from www.logitech.com/nulooq. s online store. The NuLOOQ tooldial can be purchased separately online for a suggested retail price of $49.99 at www.logitech.com/nulooq. A 30-day free trial is also available for download at the NuLOOQ Web site. Founded in 1981, Logitech designs, manufactures and markets personal peripherals that enable people to effectively work, play, and communicate in the digital world. Logitech International is a Swiss public company traded on the SWX Swiss Exchange (LOGN) and in the U.S. on the Nasdaq National Market System (LOGI). The company has manufacturing facilities in Asia and offices in major cities in North America, Europe and Asia Pacific. anytime, anywhere and through any medium. For more information, visit www.adobe.com.